State wildlife biologists shot and killed two male black bears in Eagle River over the weekend after the animals reportedly opened car doors in the area and shredded the soft top of a Jeep, said the Alaska Department of Fish and Game. "They were breaking into cars and causing some real problems," said Fish and Game spokesman Ken Marsh. "Damage was reported, from claw marks to car doors ripped off and soft tops torn and destroyed." The bear shootings mark the second and third bear kills by wildlife officials in the Municipality of Anchorage this year due to public safety concerns. Wildlife biologists killed the first bear of the season in Chugiak in early May. The brown bear sow had a history of fearlessly raiding trash cans in the area, according to Fish and Game. It and its three cubs eventually showed up at a year-round retreat, charging a family's dog and killing 22 chickens and goat. Marsh said he feels like a broken record, but he'll say it again: Secure your trash and your livestock. Bears that get used to eating human food pose a safety threat. "Almost 100 percent of the time, the bears we have to deal with in neighborhoods, that have to be put down, have gotten used to trash being left out or poultry," he said. "They make a habit out of it." Marsh expects the two black bears killed this weekend started out rooting through trash cans, and their behaviors escalated to entering cars to find something to eat. They must have discovered a meal in a vehicle at some point, Marsh said, and then searching cars for grub became a habit. 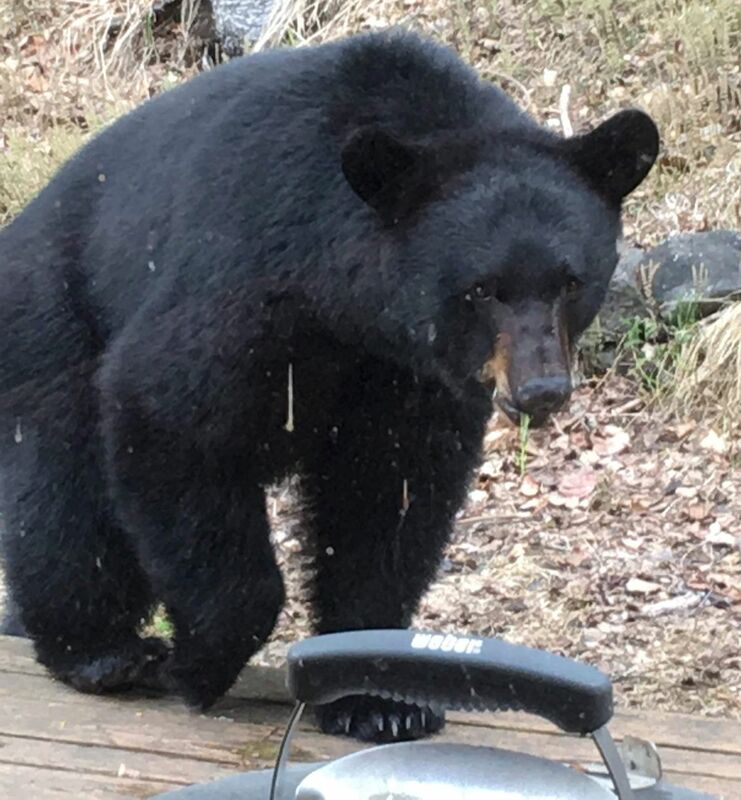 While Fish and Game received a few reports of bears damaging cars in the Eagle River area last year, reports of a pair of black bears breaking into vehicles increased last week, Marsh said. The bears' behavior seemed more aggressive. "They were apparently working together," he said. Most of the reports about bear break-ins this month came from neighbors in the sparsely populated areas around Eagle River Road and Prudhoe Bay Avenue, not far from the Eagle River Nature Center, Marsh said. People told Fish and Game that the bears seemed unfazed by humans and dogs. One person said the bears managed to open an unlocked car door. "They probably weren't going to hotwire the rig and drive away," Marsh said. "They were looking for food." 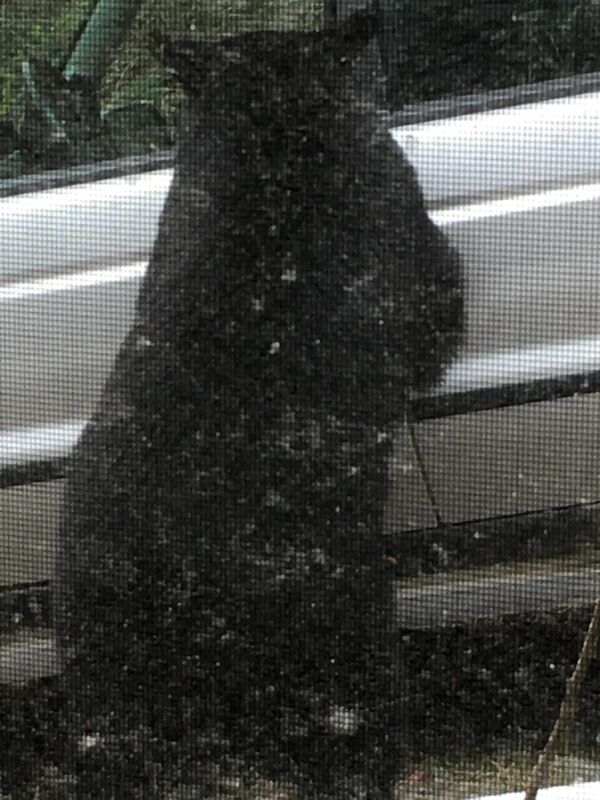 Michaela Canterbury said she looked out her bathroom window last week to see a black bear pawing at her family's silver SUV. She knocked on the window and yelled to try to scare it off, she said. But it didn't work. "He was trying to open the dang door like he wanted to take it out for a spin," she said. Eventually, the bear gave up on the SUV and sauntered onto the deck. Canterbury has lived near the Eagle River Nature Center for 20 years. She has seen plenty of bears on her property, she said, but this bear seemed a bit more fearless. Canterbury said she did not leave any food in the vehicle. Marsh said the two black bears in the Eagle River area became enough of a safety concern that wildlife biologists went out to trap them, catching one late Friday and the second late Saturday off Prudhoe Bay Avenue. The two bears were shot and killed. Wildlife biologists matched the teeth from one of the euthanized bears with a full set of teeth marks left on a bottle of sunscreen found in one of the ransacked vehicles. It was an exact match, Marsh said. The other bear had tried to get into a vehicle immediately before walking into the trap. Fish and Game reminds people to store garbage inside secure buildings or in bear-proof containers. Marsh said he would also recommend people remove food from their parked cars and any trash from the beds of their pickup trucks. "Lock them up, don't store food in them and if you can keep them in the garage — all the better," he said.